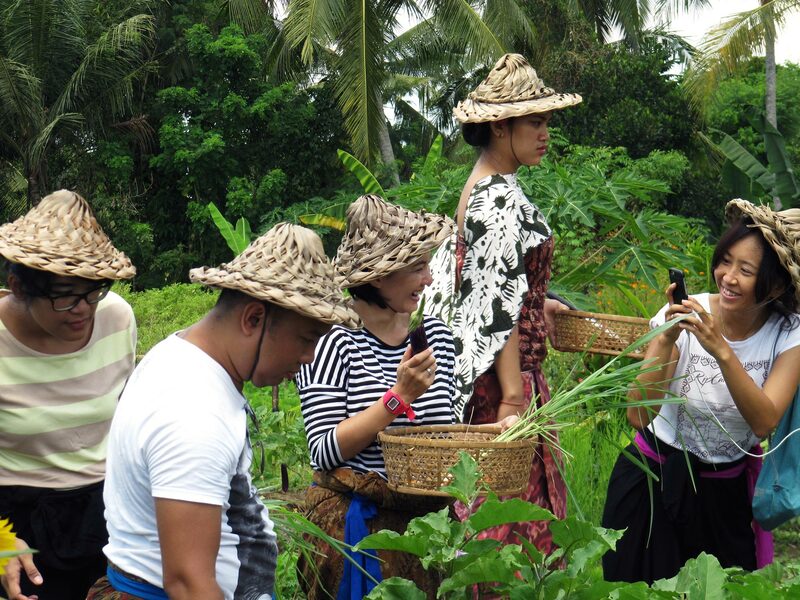 Royal Tulip Visesa Ubud is quite new property in Ubud, their concept is to introduce the traditional Balinese culture by providing some activities that allows traveller to experience the authentic Balinese daily life. 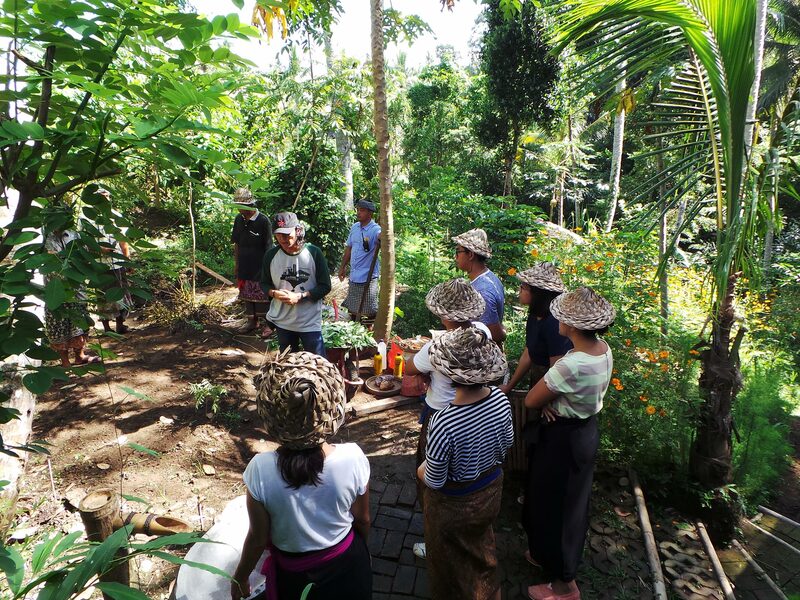 We had a chance to experience some of their activities, from visiting their permaculture farm which aim to promote eco-friendly farming practice; harvesting some spices and vegetables to cook and learn to make some traditional Balinese sambal. 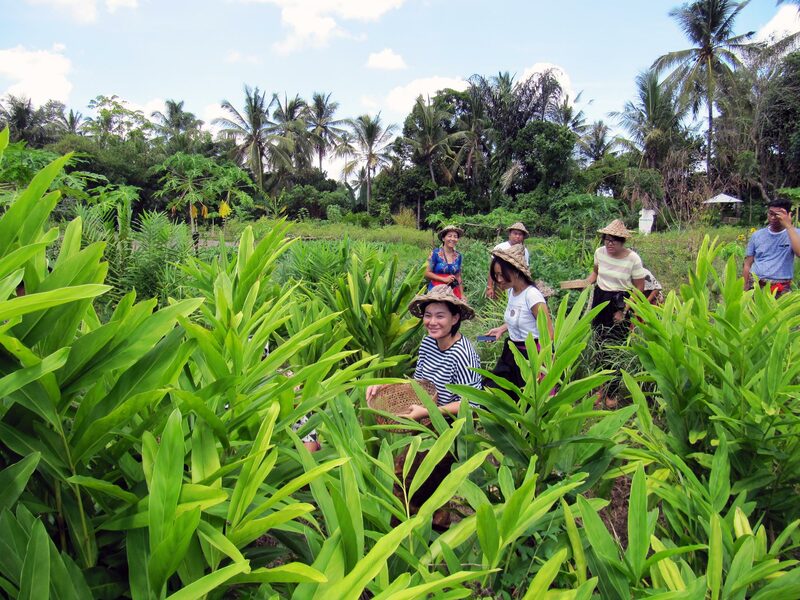 The permaculture activities starts in the morning, before we start the activity we need to put on a sarong and a traditional farmer hat. 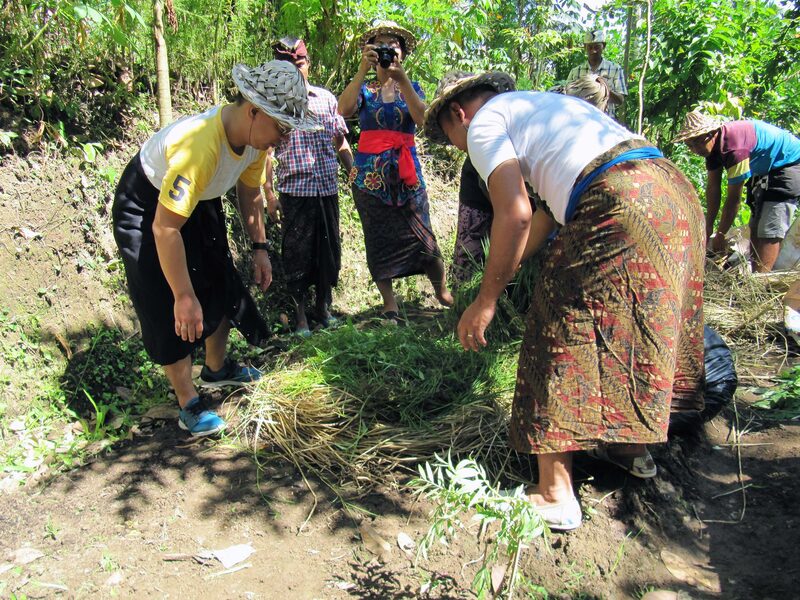 Then we begin our experience by learning some basic knowledge about permaculture itself while sipping a refreshing traditional Balinese drink called Loloh Cem cem, it was made from cem cem leaves with some sweet, zesty and a little bit taste like wheatgrass. Then we continued to learn about how to make compost from cow manure, they explain the whole process from scratch. 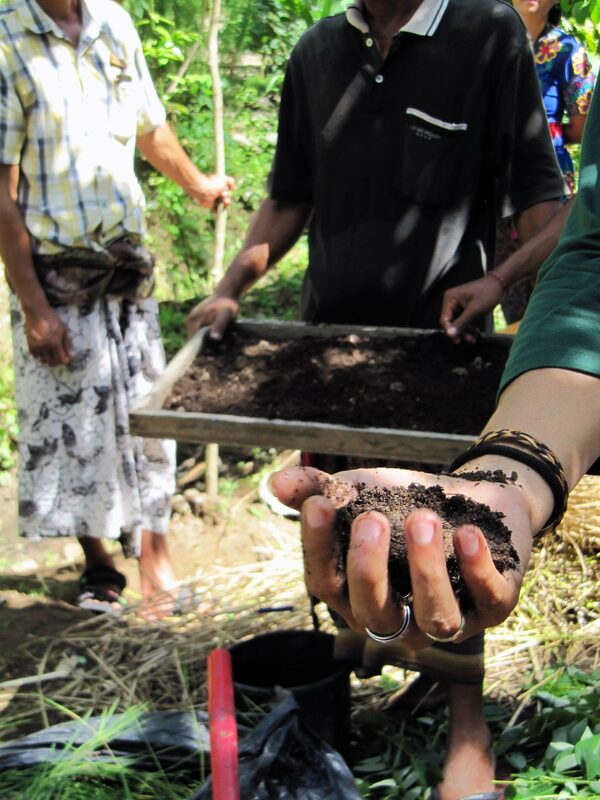 After learn about making compost we plant some seeds which require us to do some land plowing, it’s quite a hard work to do under the sun, makes me appreciate food more to learn all the hard work that farmers do. 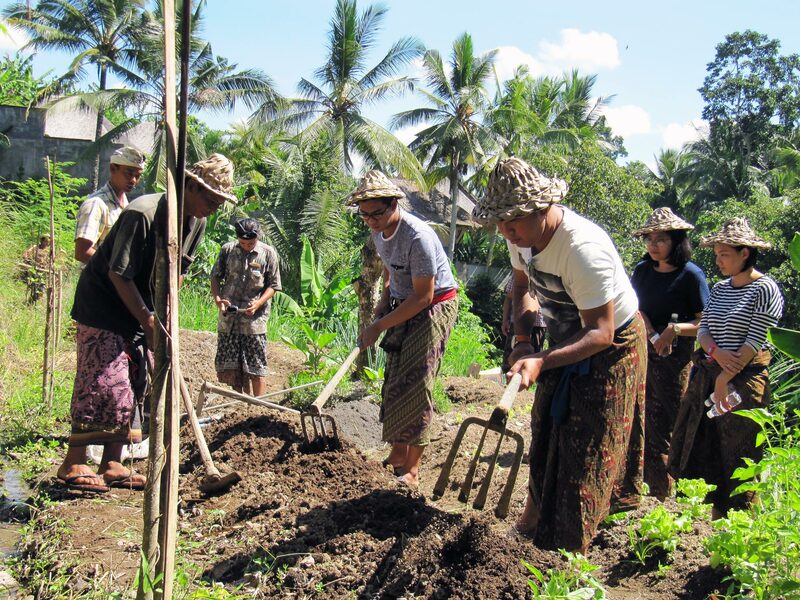 Now we’ve learn about making compost, how to plow and planting the seeds, next we head down to their Warung Tani restaurant to learn to make some traditional Balinese sambal. Before we make the sambal we need to pick up some of the ingredients first, we picked some chili paddy, turmeric, eggplants, and many more. 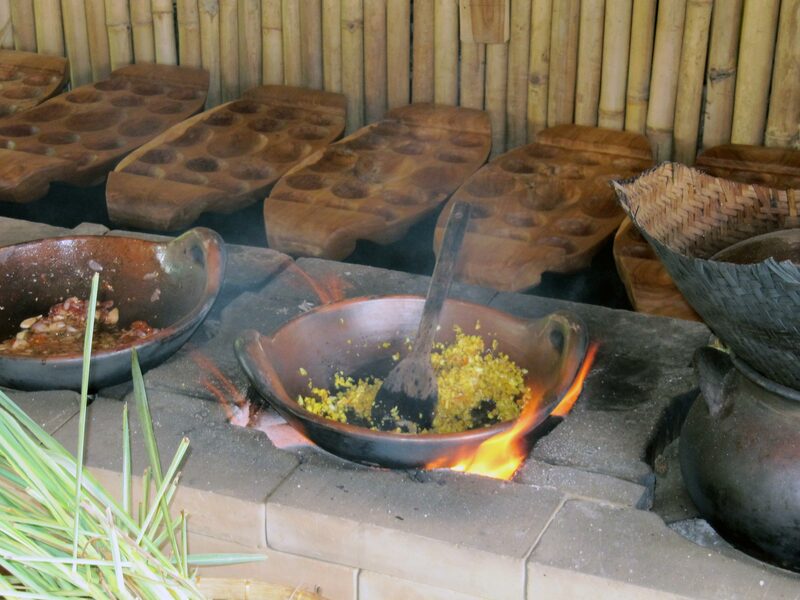 As I mention before the cooking class will be held at their Warung Tani, this restaurant were like a small traditional hut sets up with a small “traditional look-a-like” kitchen. 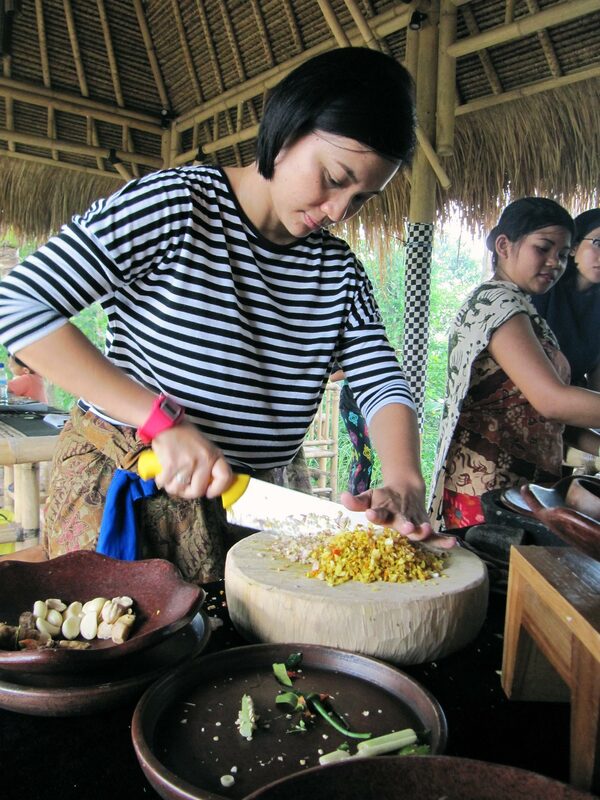 The cooking class finished around lunch time and we are totally hungry, while waiting for our food to be served we can enjoy some traditional light bites such as grilled yam, grilled corn, peanuts, etc. 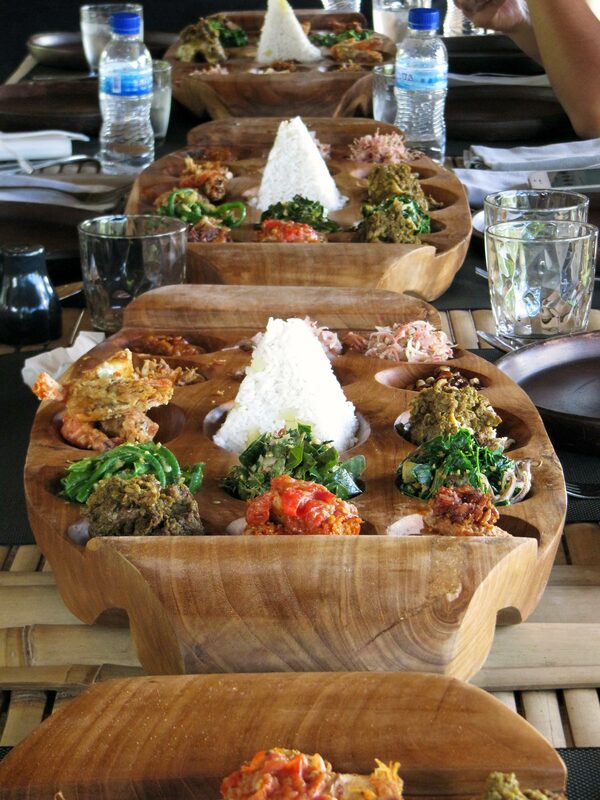 And finally the food arrived and was served in Megibung style, megibung is Balinese traditional family dining where people sits together discuss opinion and eat together in one big plate with several dishes served. 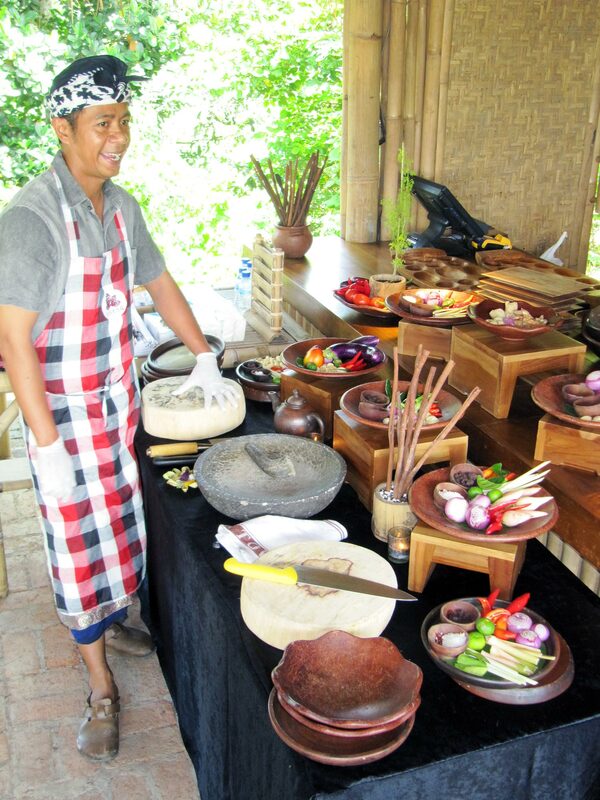 Visesa’s megibung comprise of 9 main dishes such as Be sampi base gede manis (beef cooked in Balinese spices), Be siap base Bali (Chicken cooked in Balinese spices), Be pasih sambal tabiye, Telur asin, Don ubi base genep, Kacang saur, Sambel lalah, Sambal matah and steam rice. 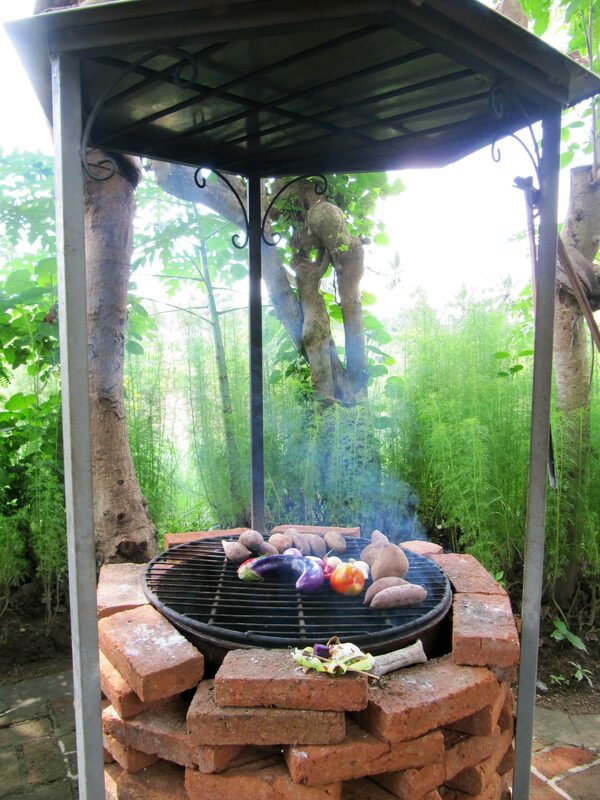 All the dishes were nicely seasoned with authentic taste and delicious. 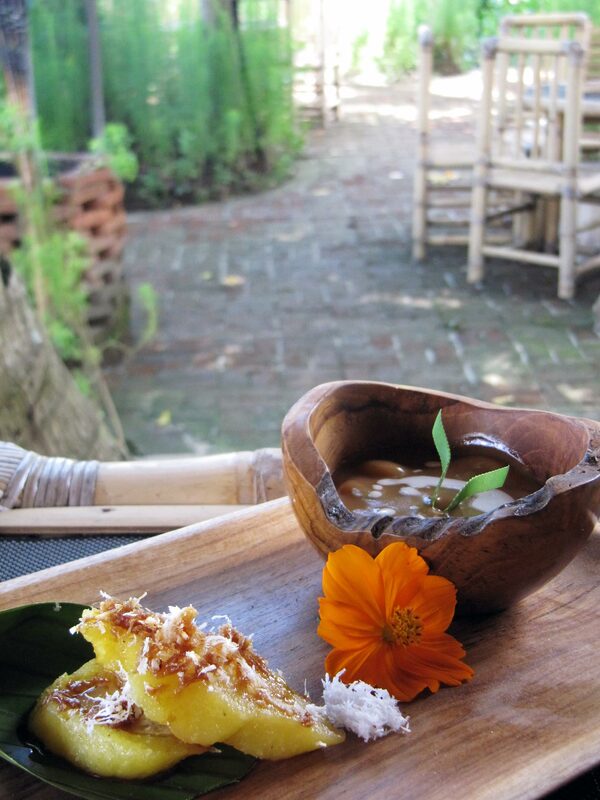 And for the dessert we got two kinds of sweets called Kue kaca mata that was made from cassava with banana in the center formed like an eye and Jaje batun bedil traditional sweets made from glutinous rice flour with sauce made from coconut milk and palm sugar. 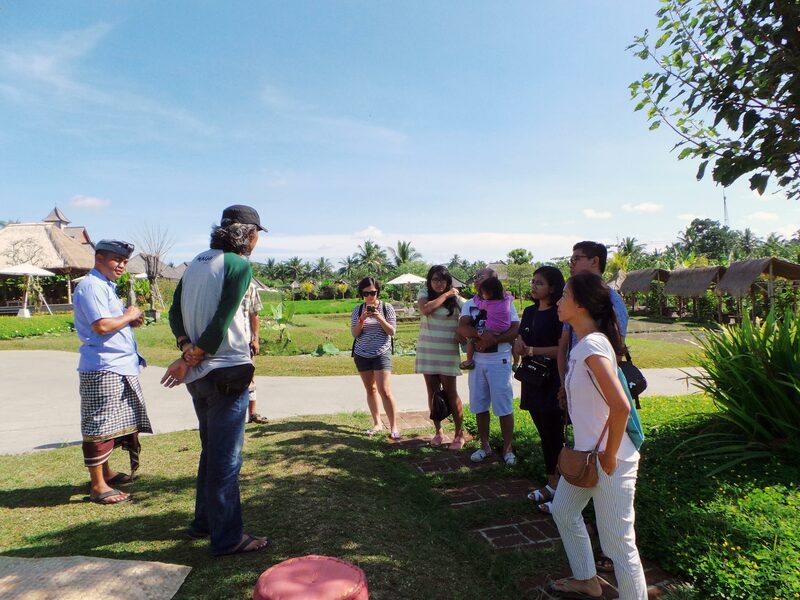 It was surely a fun and interesting activity, spend half day on the farm learn basic farming knowledge and traditional cooking. 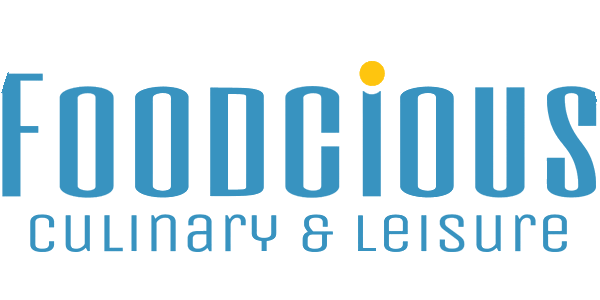 So if you’re looking for a unique activity idea for your holiday, maybe this one can be an option. Just check out Royal Tulip Visesa’s website for more info.